What we started with.All four hooves. This was after 1 year. This was after 1 year.We finally got a frog and a sole it was always a sponge. I've been so pleased with Mark Taylor, as I'm sure all of his clients have...and I wanted to write a testimonial for his website. Thought I'd share! Last year, I had the good fortune to be introduced to the concept of natural horse trimming by one of our clients, Andrea Smith. I was intrigued, especially after she described what the methods had done to improve her family's Quarter Horse mare, "Sky". Up until this time I had used a local traditional farrier on my 8 horses and ponies. While I was generally satisfied with his work, putting nails into horse's hooves and hanging heavy metal shoes on them always seemed severe and unnatural to me. Under Mark Taylor's care, my horses made an easy transition to natural trimming. My herd is made up of several breeds, including a large American Warmblood, an Arabian, a Morgan, and Welsh ponies. The horses and ponies are worked regularly in riding lessons, at horse shows, and ridden on various types of trails. In the past year, I have not had a single incidence of lameness or even soreness. I no longer have to worry about pulled shoes. And the best bonus is the cost-I've saved at least 40% from my former farrier costs. In addition to being an skilled natural trim farrier, Mark is a gentle horseman with a gift for equine communication. One of my large ponies, "Cheyenne", had apparently been abused by a farrier before I purchased her. When my last farrier worked with her, she would tremble from head to toe, act up, and would often have to be tranquilized. That ended as soon as Mark met Cheyenne. She always stands calmly and quietly for him, as do all of my horses and ponies! Lastly, Mark is professional in how he runs his business. With the assistance of his wife Debbie, appointments are always organized weeks in advance, confirmed with a reminder phone call, and Mark always keeps his appointments. He has been a good friend to me and a great horse mentor, always helping me with ideas for my business and farm management. I hope to be his client for a long time! We have a 20 year old quarter horse who became foundered in the spring of 2009,on all four hooves. He had to lay down most of the time. 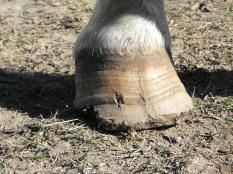 Our regular farrier wantd to put shoes on him backwards, but we wanted to stay barefoot. 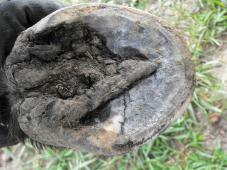 We started to look for a natural hoof care farrier.The closest one we could find was about 2 hours from where we live. We called and got an appointment with Mark Taylor. He started the natural trim on Gus and he began to improve immediately. I was able to ride him about 10-15 minutes a day in about 3 months. It has been about 1 year and he can walk on rocks without limping. He is doing great. 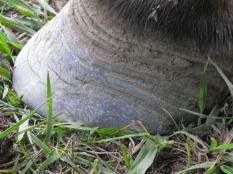 I would recommend natural hoof trim to anyone. Mark Taylor is a great natural hoof trimmer. 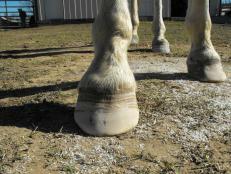 I just want to say a few things about Natural Hoof Care. We have always put shoes on our horses until 5 years ago. My daughters and I barrel race and I was looking into more shoes to give us an edge at competing. There are so many shoes out there and I thought this is crazy. 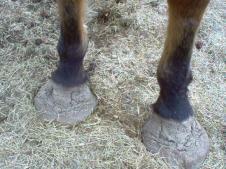 I had seen and advertisement about natural hoof care and looked up the web site. I decided to give this a try. My barrel horse started running faster and turning better around the cans. I thought, no way ! Think about it, her feet were actually touching the ground and she could feel herself. She knew where her feet were at. It is the same with us. When we have shoes on, we do not feel the natural ground under our feet but go out barefoot and that ia a whole different story. 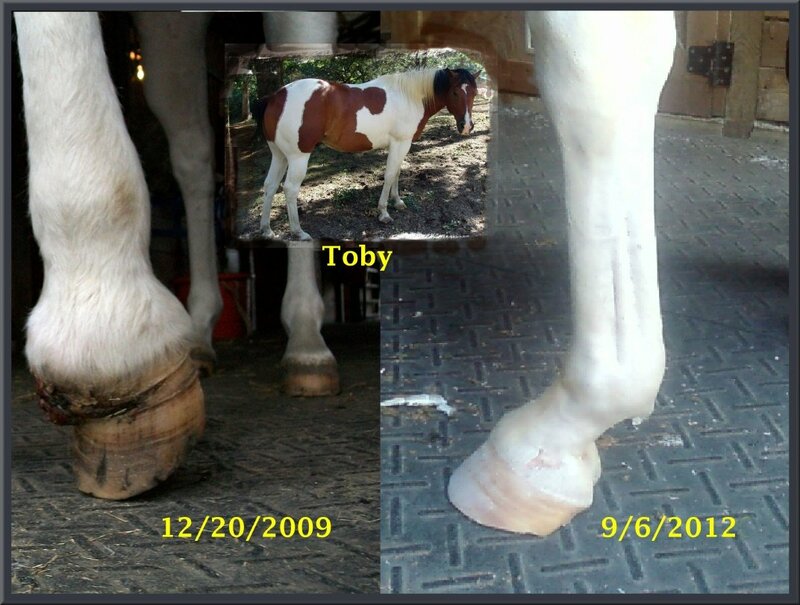 We later obtained an 18 year old rodeo horse that had navicular. She had the wedges and shoes. We were told by the owner that she limps without them.Well, needless to say, we took the shoes off and started her on natural hoof care with Mark Taylor. He has turned that mare around. She has never limped, she trail rides, walks on rocks and still barrel races ! 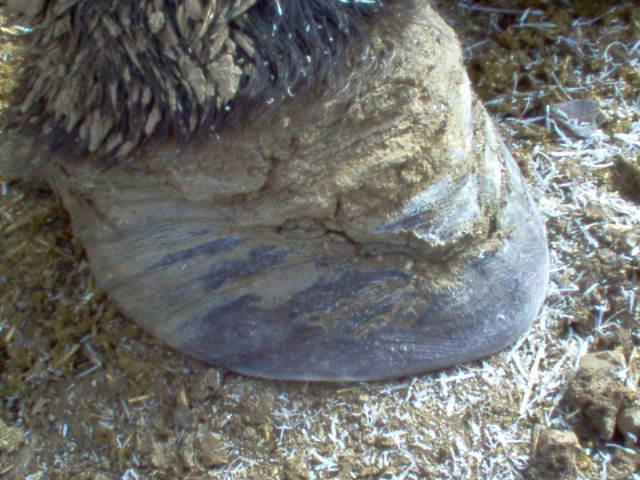 Her actural hoof wall went from being 1/8 thick to a full 1/4 inch thickness ! How can you argue with that ! I strongly encourage for horse people to rethink their way of thinking about shoes and barefoot. The horses in the wild are barefoot and have better feet then the ones with shoes. We call ourselves taking good care of our horses but are we introducing more problems down the road with them ?